Urban gardening makes it easy to bring fresh produce into your home. Maintaining a healthy diet in a world of dollar menu tacos isn’t easy. Constantly picking up fast food or questionable snacks as we dash from one place to another makes it difficult to fit fresh, wholesome meals into our lives. However, urban gardening and rooftop farming provide an opportunity to develop healthy eating habits — and help the planet. Urban gardening refers to the process of growing, cultivating, and distributing produce in suburban and city settings. Rooftop gardening is one way to make use of wasted space — and bring delicious foods into your home. For buildings that have proper permitting and structural integrity, rooftop farming makes it simple to grow organic vegetables, eat locally, and cut back on carbon emissions from food transportation. 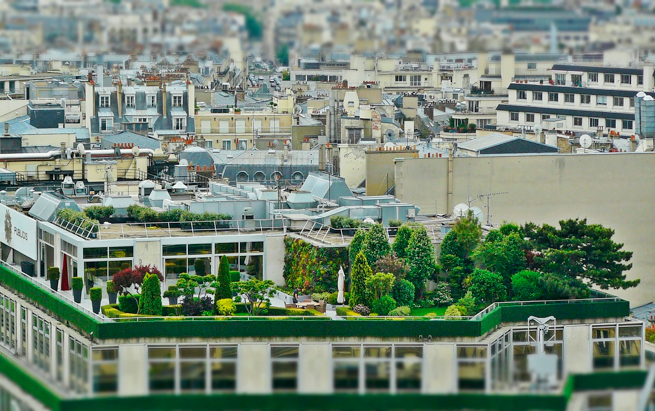 In the city of Chicago alone, over 500 roofs are partially or fully covered with vegetation in order to maximize city space and encourage eco-friendly habits. 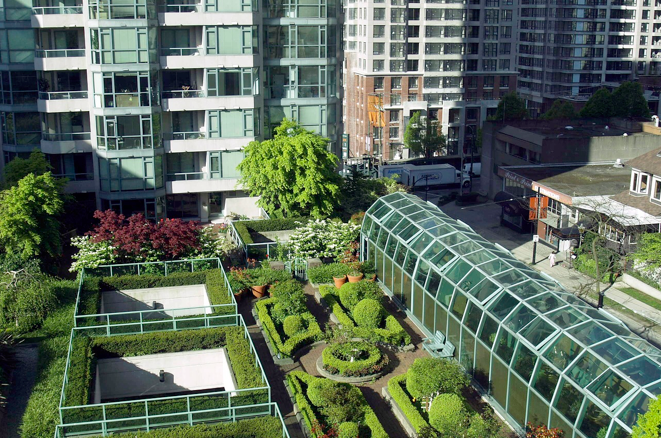 Even if your roof can’t support a garden, you can bring urban gardening into your space if you have a sunny window, an open patio, or a secure balcony space. Here’s everything you need to know about urban gardening at home! Before you get started, you’ll need to assess your space. Sunlight: How much sun will your garden get? Is your balcony shaded for several hours during the day? If you live in an area with lots of partial shade, start with hardier plants like kale, lettuce, and herbs. Structure: Dreaming of a rooftop garden? If you live in a shared space, like an apartment or condominium, reach out to your building’s owners before you start throwing around soil. Plants: Determine which plants work for your season, climate, and maintenance needs. Check out our companion planting chart to get started. Containers: Appearance matters! Choose containers that accent your home and are large enough to fit the types of plants you want to thrive. If you’re working with a large space, sprinklers or a hose irrigation system can provide your garden with the right amount of water so that it is well maintained. Using oscillating sprinklers will take care of your watering needs and bring down the temperature of the area. Opt for systems you can set on a timer, and only water your urban garden in the morning. Take weather conditions into account: most rooftop gardeners will need to water their garden daily during the summer months. For smaller spaces, like a windowsill or balcony garden, water your plants with water you’ve collected from eco-friendly sources. Collect rainwater in containers, and save excess water from your sink and bath to reduce water waste. Not only does a rooftop garden add to the aesthetic appeal of your home, but it also puts you on the right track toward healthy living. By growing plants on your rooftop, you can rest assured that you’ll have fresh fruit and vegetables for every meal. In communal areas, like apartment buildings, you can even start a community garden to share the fruits (or vegetables) of your labor. 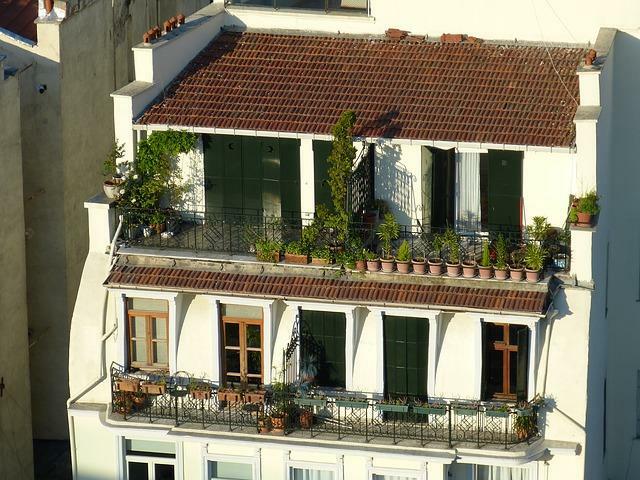 Don’t have the space for rooftop gardens? No problem. Urban gardening offers a range of benefits no matter where you set up your planter. In fact, growing plants can reduce energy use: according to the University of Vermont, plants release humidity, which can cut down your heating and cooling costs. Additionally, gardening can reduce stress levels, improve your mood, and provide you with a delicious range of fresh foods to cook into home meals. The first step to growing organic vegetables is buying soil. Your local gardening supply store will have rows of soil for every type of garden. Once you get this soil, you can grow the plants in containers which can be easily accommodated on your roof, windowsill, or sunny balcony. Look for containers that complement the needs of your plants — they should have holes for proper drainage. Try your hand at growing tomatoes, cucumbers, radish, beetroot, turnips, and spices like green coriander, chilies, and more. Depending on the space available, you can keep the containers adequately spread or plant your garden in long rows. Balcony, patio, and windowsill gardens may have similar results, depending on how shallow your containers are and how much sunlight you receive. As a good rule of a green thumb, start with herbs — they’re relatively low-maintenance in comparison to root vegetables like beets and carrots. Due the modern-day demands, many rooftop farmers often neglect to harvest their fruits and vegetables. But a good home gardener is never so busy that they allow their hard work to rot. Keep a calendar as a reminder. For instance, if you grow cucumbers and are done with the weeding stage, check your seed packet and mark the recommended harvest date on your calendar. Communities across the globe are testing rooftop farming as a way to instill healthier eating habits and promote green living. While rooftop gardening is mostly used for non-commercial purposes in places like Barcelona, where the climate is ideal year-round, this form of urban agriculture could one day become a profitable commercial enterprise. However, those who indulge in it for commercial purposes still have to face a number of barriers. The market is still not completely open to this method of production — it requires consulting with a structural engineer and receiving proper permitting, which can be a hassle in areas with older buildings. Because it’s so new, there still isn’t sufficient government assistance to explore the potential of large-scale rooftop farming. Despite all the benefits that rooftop farming provides, it’s still in its infant stage and has a long way to go before people begin to acknowledge it as an effective mode of organic farming. Just as with any other form of agriculture, rooftop farming requires dedication and patience before you can enjoy your harvest at your dinner table. But gardeners who are persistent will get to see why your local grocery store produce department can’t match the fresh, nutrient-rich foods that your own home can create. About the author: Laura Bennett is the founder of HumidGarden.com. She loves nature, especially when it comes to flowers and different kinds of plants. HumidGarden is created to provide aspiring and inspiring thoughts about gardening for gardeners and anyone who has the intention of keeping a garden. You can find Laura on Twitter at @LauraSkyonfly. "Start a community garden to share the fruits (or vegetables) of your labor."